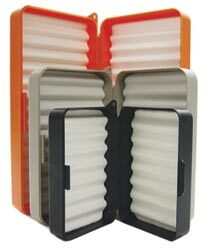 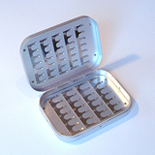 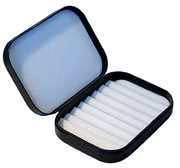 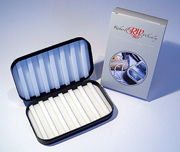 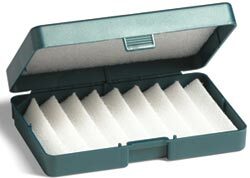 Small: 4¼" x 3" x 1"
Med: 5&frac58;" x 4" x 1&frac58;"
Large: 8" x 4" x 1¾"
Available in identical sizes and colours to the W. W. Doak foam boxes but with the "Nubby Tack" inserts which hold flies securely and never wear out. 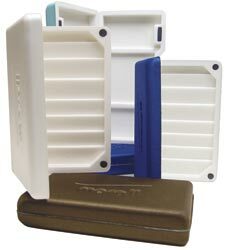 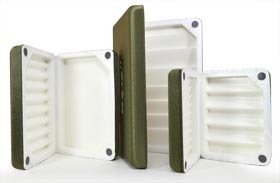 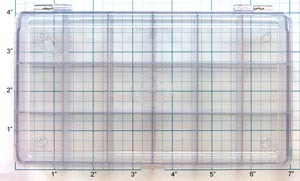 Small: 4 1/4" X 3 1/4" X 11/16"
Large: 6" X 3 3/4" X 1"
Morell boxes are made in the US from multi density self hinging foam. 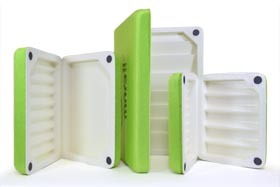 Their innovative design is exceptionally lightweight and very tough. 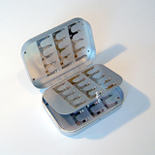 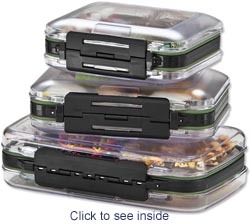 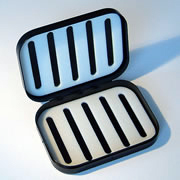 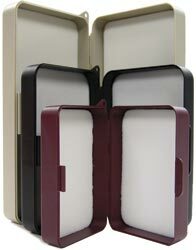 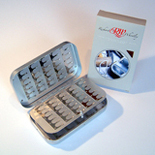 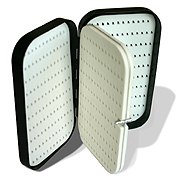 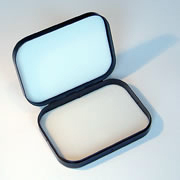 They feature magnetic closures and are available in 3 sizes. 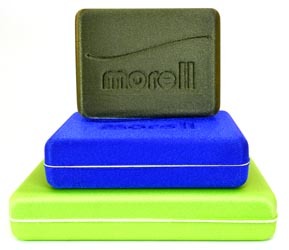 The Morell deluxe models have a distinctive nylon fabric outer shell and are available in 3 colours: Olive, Blue and Spring Green. 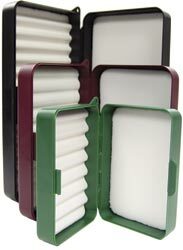 4" X 3" X 1¼"
4¾" X 3¼" X 1¼"
6½" X 3¾" X 1¼"
Identical to the Deluxe Boxes but without the nylon fabric outer shell. 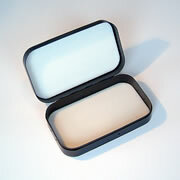 Size: 4 3/4" x 3 1/2" x 1 1/8"
Size: 6" x 3 1/2" x 1 1/8"
Easy Grip foam in lid and base. 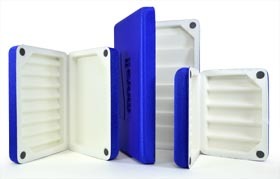 Accepts any 6" foam insert. 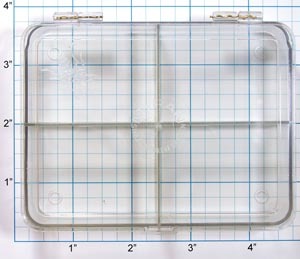 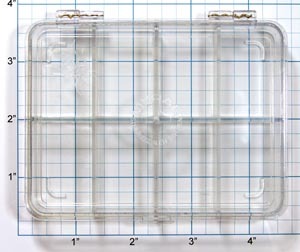 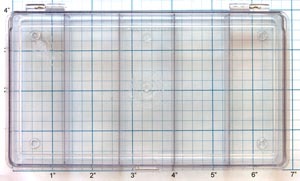 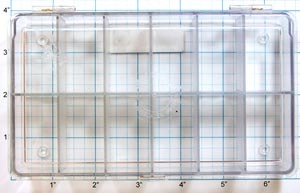 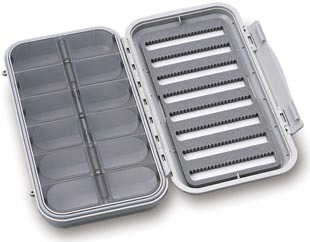 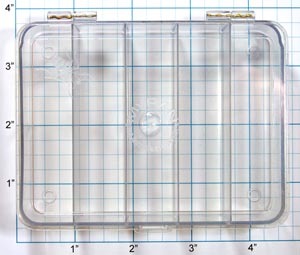 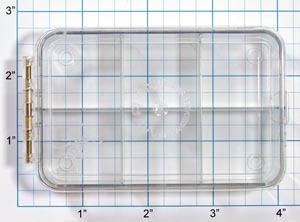 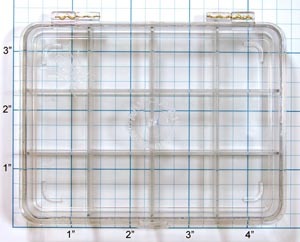 Easily distinguish your dry-fly box from your nymphs with this waterproof double-sided clear fly box. 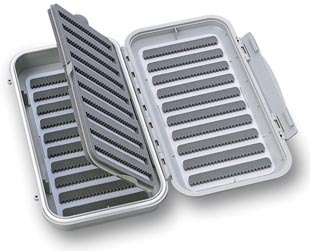 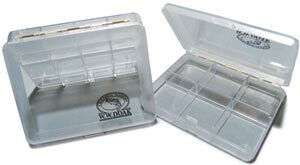 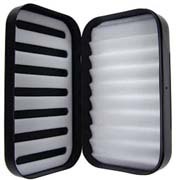 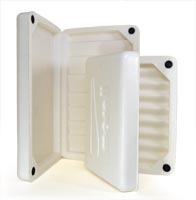 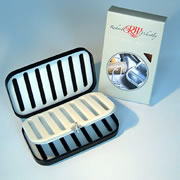 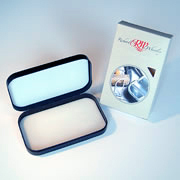 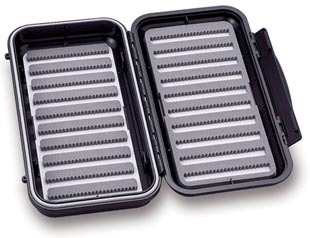 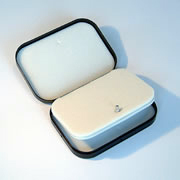 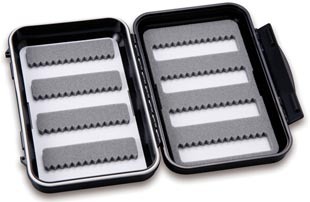 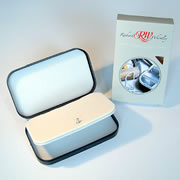 This durable micro-slit foam box features clear lids, and comes in three sizes. 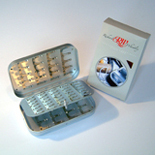 Four strips of Micro Slit Foam on each side for up to 108 large #4 - #10 sized flies. 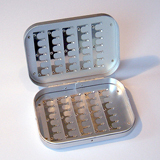 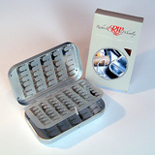 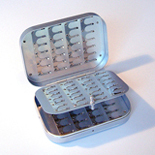 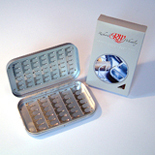 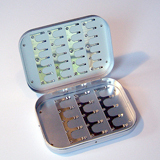 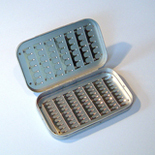 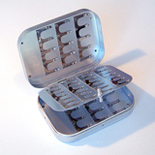 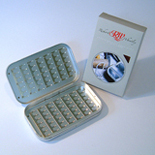 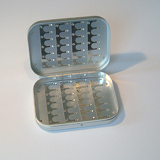 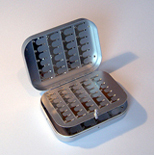 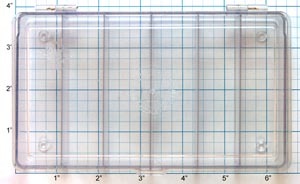 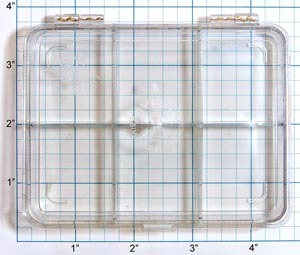 The lid of this box has eight rows of Micro Slit Foam for 192 flies, while the base has 12 compartments with individually opening lids. 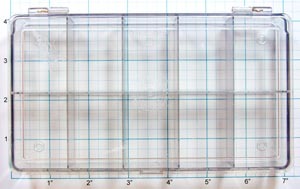 The ultimate in storage boxes for flies from #16 a larger. 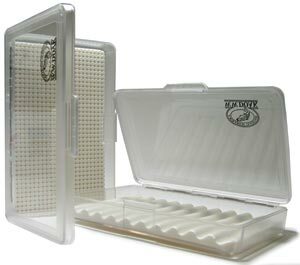 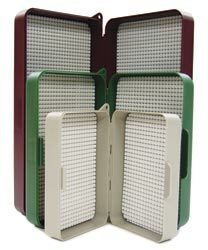 Ten rows of Micro Slit Foam in the lid and base and ten rows on each side of the flip page give a total capacity of 940 flies. 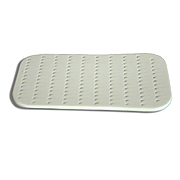 Hard shell, with flat and flat foam only.